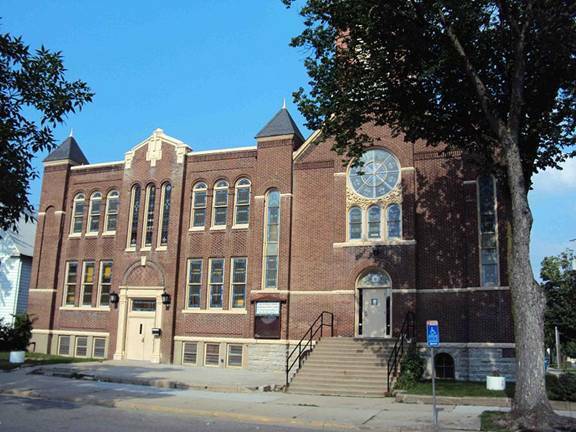 After the Mount Vernon Missionary Baptist Church purchased the structure in 2008, the interior was completely renovated to accommodate the modern congregation and ministries. The facade of the original, southern part of the building, the southern section, is made up of three vertical sections. The middle section has a slight projection featuring a large rose window above the smaller half-round arched windows, all set in elaborate stone carving of a florid pattern. The chapel has a front gabled roof, with a bell tower and spire as the central focus. The northern part of the building, which was added in 1922, has towers as well as Corinthian columns built into the face of the entry. There is a rectangular stained-glass transom window, and arched brickwork above with a herringbone brick pattern within. Leaded stained-glass windows in hues of blue and green are abundant on the exterior of the structure. 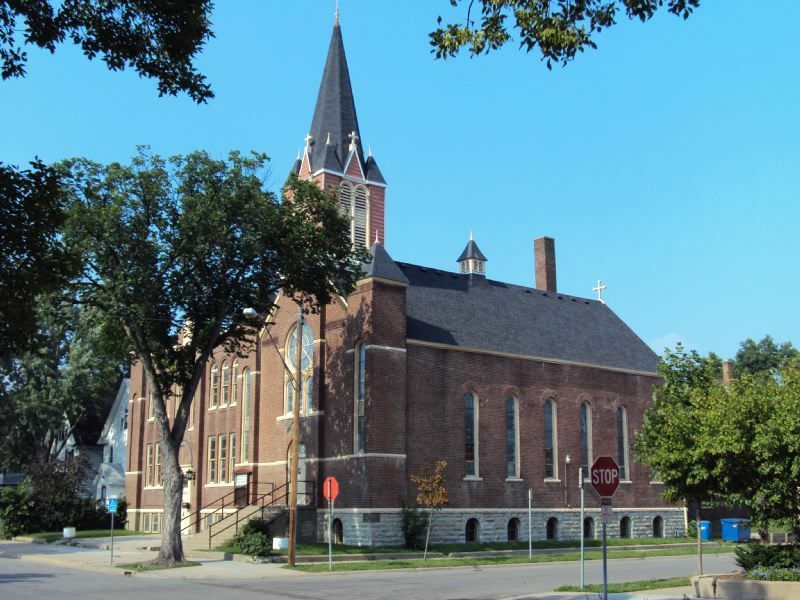 This is a good example of a well-executed addition, compatible with its original structure. 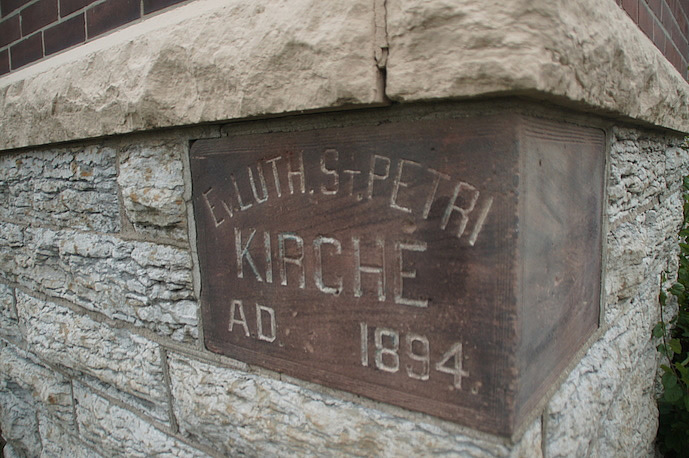 Work cited: Minneapolis HPC Building Inventory Form: St. Petri's Lutheran German Church. Rep. Mead & Hunt, 2002. Print. 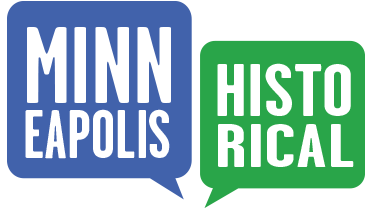 Old Highland Neighborhood Association, “1800 Dupont Avenue North: Mount Vernon Missionary Baptist Church,” Minneapolis Historical, accessed April 18, 2019, http://minneapolishistorical.org/items/show/12.